There is one evil that haunts the days and nights of most agency workers: time tracking. It's no wonder there are so many digital time tracking tools just for agencies and small business today. Those who need an easy way to stay on task and become more efficient for their clients will find 13 possible solutions below and free apps for startups here. Employees avoid it at every opportunity, but eventually, time -- or the poor soul in charge of collecting timesheets -- catches up with them. Some agencies have even gone as far as rewarding employees with free beer if they submit their reports on time, which isn't such a bad idea. The real problem with time sheets is that they require employees to track time on every single thing they do, and no one likes to be micromanaged. No one wants to know if that project took longer than it should have or discover how few hours they actually spent on "real" work that week. Future quotes for this type of design project will be set at 15 hours. Now, if the designer had tracked his time, he would have been able to say that it actually took him six hours to complete the project. This knowledge would have changed the agency's view of that project. In addition, this miscalculation causes inflated prices moving forward. It creates the misconception that anything below 15 hours could be unprofitable for the agency. Forcing employees to track their time can breed suspicion -- they feel like they are constantly being monitored and timesheets are a way to "check in" that they are doing what they should be doing. It's important that you explain time tracking is not about a lack of trust; it's about making sure the company remains profitable, as mentioned above. And profit leads to bonuses and raises and investments in future "fun" things. Time tracking can also help to improve forecasting and capacity issues, removing the stress because your agency has underestimated the project and overpromised to the client. Make sure every single employee -- including leadership -- is trained on how to use the time tracking software, how to submit timesheets, and how to review their own productivity. Create a guide for new employees to read over, and make sure you stay up-to-date on improvements in the software. One of the barriers to tracking time is overcomplicated and unusable software. If your agency requires employee time tracking for work projects, then time entry systems are just part of the job. But you can reward employees with small gifts or recognition if they consistently submit accurate timesheets on time. One fun way to do this is to give your employees back their "time" by letting those who do this well leave early once a month on a Friday. People don't look forward to recording hours worked in a time tracking system every Friday at 5 p.m. Choose a tool that works with your agency, and ask for people to test out and review various apps. 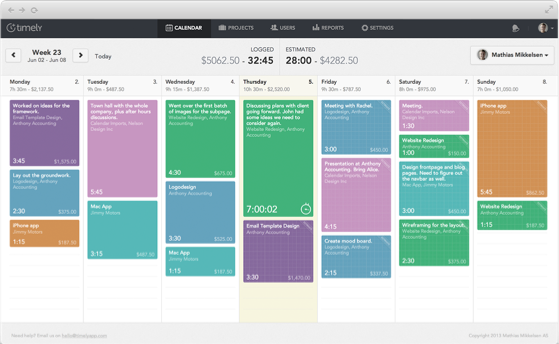 Do people want to integrate the tool with their calendar or project management software? Is having a mobile app necessary? Do your managers need to be able to see when remote workers are online and working? Consider what would cause the least disruption in your team's workday. In order to understand how much time it takes to write a blog post, design a landing page, or even service one high-maintenance client, you need a reliable and easy-to-use time tracking solution. It needs to be something your team will enjoy using, and it should have all the features without being overly complicated. To make it easier to pick a tool that suits the needs of your company, we've described 13 of the best time tracking applications and add-ons below. These products are available in many other agency project management systems, so check out the integrations pages of your other software to see if there is one you could use with your current tools. 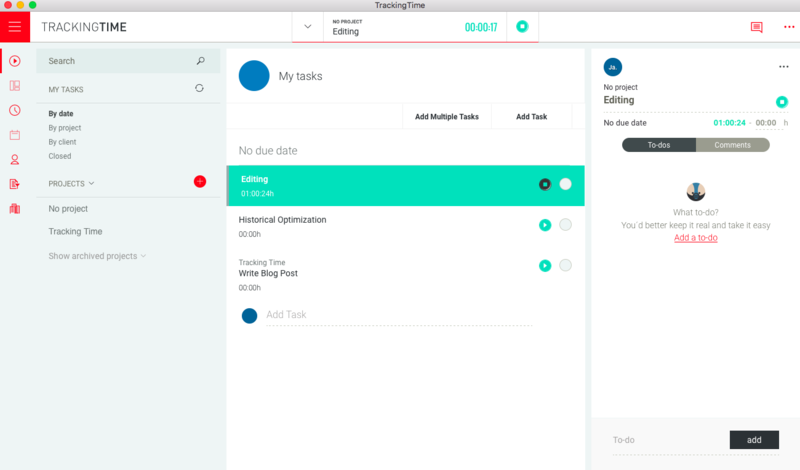 Timely is a hybrid of a to-do list, time tracking app, and calendar. It integrates with major calendar providers -- such as Google and Mac -- and each task is tagged with a specific project. 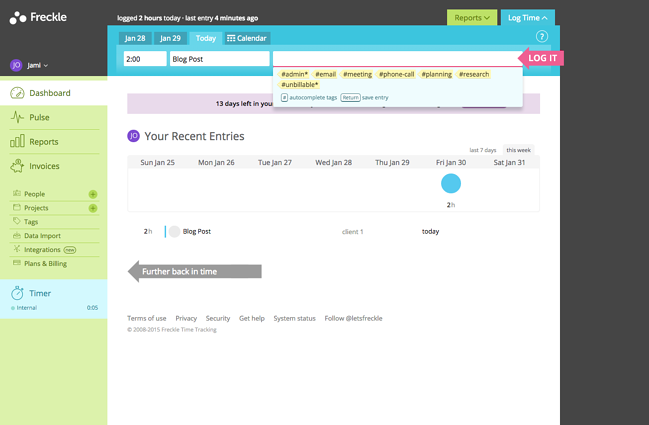 You simply block off hours in your calendar, and the tool will log your time. You can also easily move projects around with the drag-and-drop feature. The program allows a manager to view his or her team's projects and calendar, so they can see who has too much on their plate and what projects are going over budget. Everhour offers several different charts by which you can visualize your team's productivity. 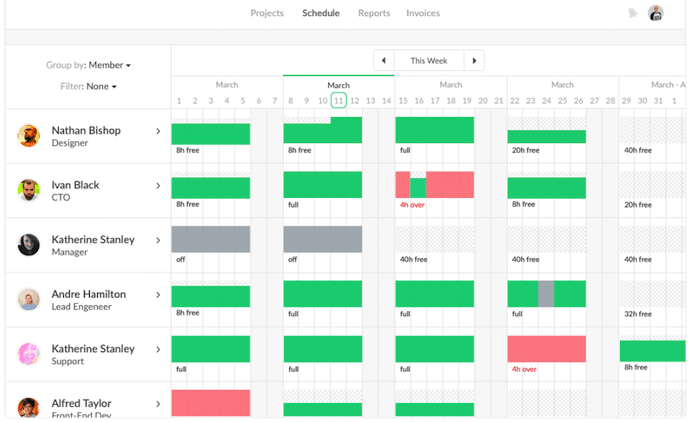 The tool comes with resource planning for tracking multiple projects and who's working on which ones. Everhour can then sort projects by those that are billable to clients, the budget of each project, and their respective deadlines. 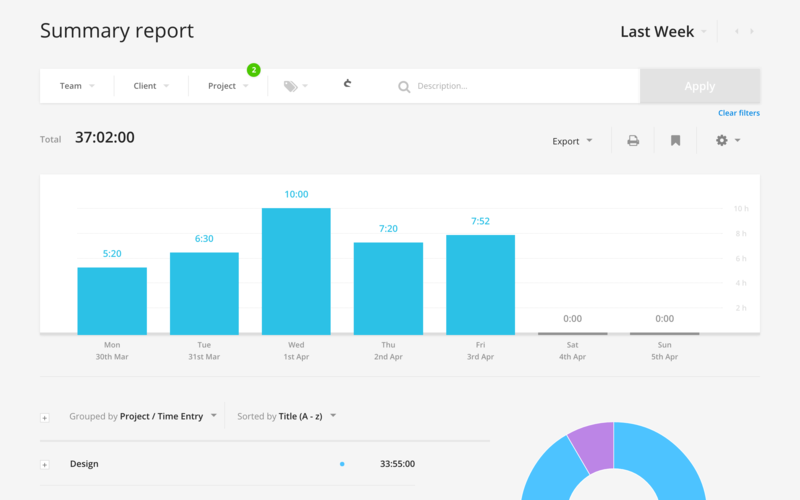 Use Everhour's Project Summary function to see how much time and money was spent on each project being tracked, while also seeing the future availability of each employee who's tracking their time. The software integrates with more than 1,000 other business apps you might be using so you can implement time tracking without disrupting your company's current workflow. 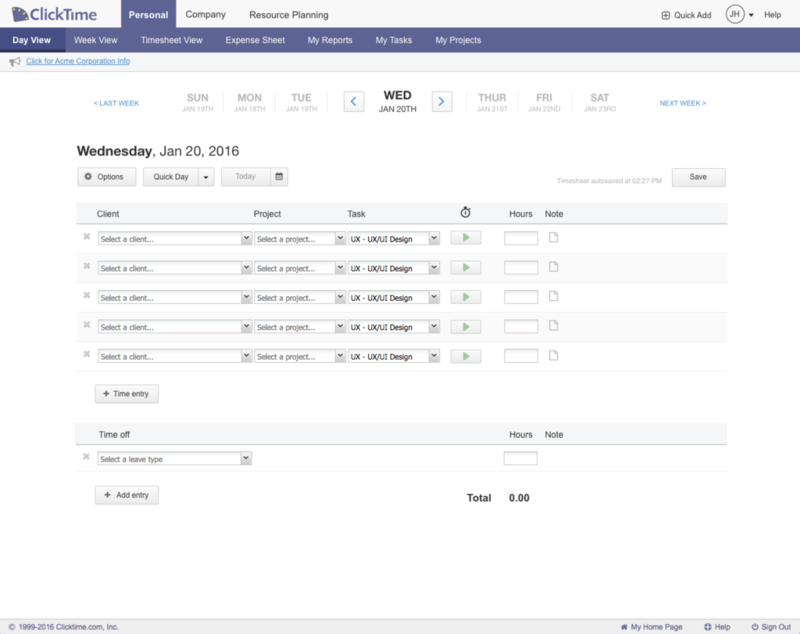 Scoro is a time tracking app developed with billable tasks and projects in mind. 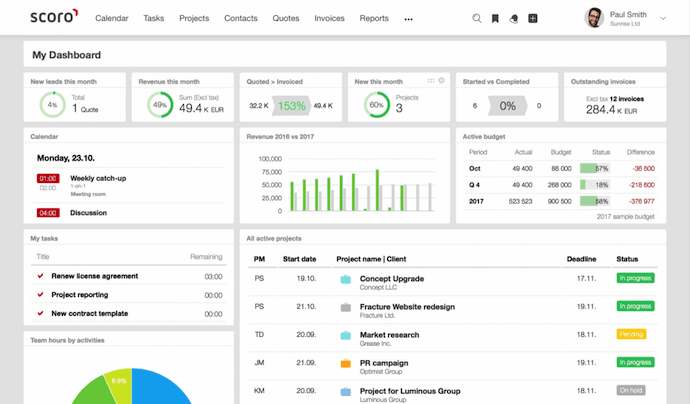 The tool touts an end-to-end platform where you can create budgets for each client and team member, and see how fast each project is moving in real time "from the first 'hello' to the final invoice." In addition to project management, Scoro allows you to schedule meetings to go along with each project being tracked and automatically add completed tasks to each user's work report. In this way, you can eliminate timesheets completely. Scoro can also automate routine tasks such as recurring payments and invoice fulfillment reminders, so you can spend more time increasing the efficiency of your department. The app integrates with numerous apps you might already use, such as MailChimp, Dropbox, Outlook, Google Calendar, and more. ClickTime tracks work hours by client, project, employee, and individual tasks so it's easy to understand the profitability of an account, employee utilization, and the typical time it takes to complete a task for future estimates and proposals. The tool allows employees to enter expense sheets as well, so you can track hard costs associated with a project, and there is a budgeting feature where your agency can track hours and costs associated with a project budget or a monthly retainer. ClickTime's resource planning function helps managers allocate employee time effectively, and its reports allow you to find projects at risk of overservicing. 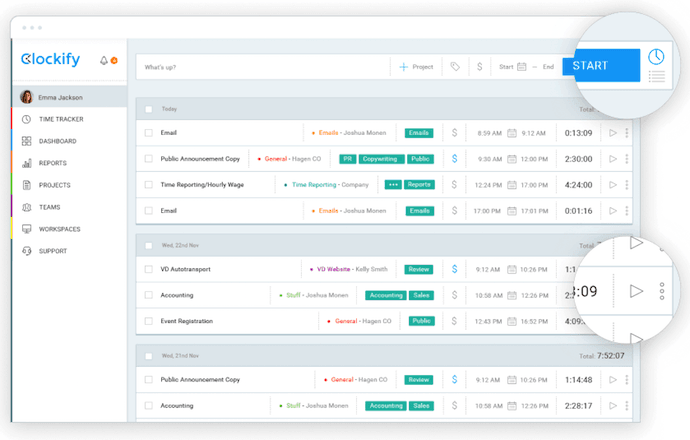 Dashable works by pulling project information from applications such as Trello, Basecamp, Github, and Pivotal Tracker and syncing a project's status. It sends an email each day to users to have them verify their activity and time spent for the day, and managers receive an email each morning to review the previous day's work and billable hours. Dashable includes invoicing capabilities so that once a job is completed, you can create an invoice and get paid quickly. 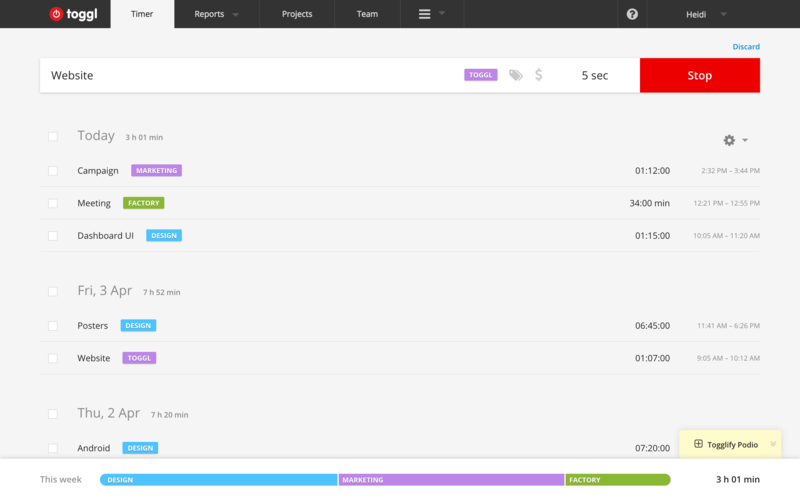 Toggl is a popular time tracking app that supports separate teams within an organization. You can assign individuals a different billable hourly rate, and for agencies who work with freelancers, you can create separate workspaces so confidential documents don't fall into the wrong hands. The tagging feature makes sure that all projects, clients, and tasks are easy to find and evaluate. The tracking software also logs how you spent your day -- including what programs you used and where there were gaps, which could be helpful when manually entering time spent on a project. Toggl has a Chrome extension and is available as a Windows and Mac desktop app, and Android and iOS mobile apps. It has hundreds of integrations so it can seamlessly be added to your current workflows. 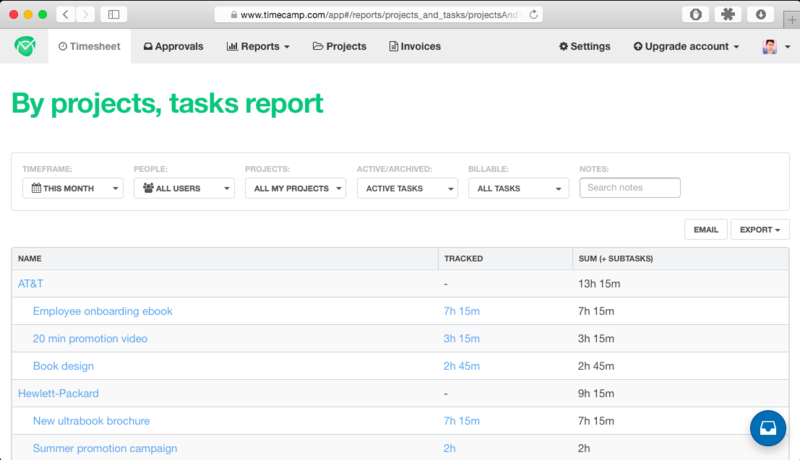 Freckle is a user-friendly time tracking software for teams. It's easy to keep track of projects or types of work through its tagging system, understand employee utilization rates, and track billable and non-billable time. The Pulse section lets employees see their productivity by day, and you can import timesheets from Excel and other time tracking applications. Clockify is one of the simplest free time tracking apps on the market today. The tool literally uses a digital stopwatch that employees can start and stop for each task as they begin and complete them. The tool then automatically logs the time commitment of each completed task. 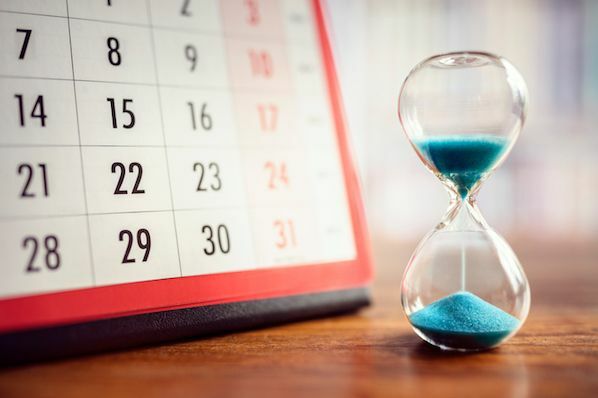 Similar to many of the tools included in this post, Clockify allows you to mark certain blocks of time as billable to a customer. You can also allocate specific lengths of time to each project so employees can stay on task. Once the stopwatch stops for every task included in a project, you can summarize your work to see where employees spent the most time and who your top clients are. Hubstaff specializes in tracking remote team members by allowing managers to see who is online and what projects they are working on. The program can run in the background of a user's computer and take screenshots periodically to make sure your employees are being productive. This tool also integrates with PayPal, Payoneer, and Quickbooks for payments, and has integrations with 16 project management platforms -- including Basecamp, Jira, and Asana. TrackingTime has apps for Windows and Mac users, and boasts an iPhone and Android app. You simply input a task, choose a project, and press play to start tracking. With this tracking software, you can see which clients took up the majority of your time, and how you are spending your time in-between projects. Its Pro version has a calendar integration for managing and monitoring tasks and projects. And there's powerful reporting in the app where you can analyze where the team's time went and filter by project, client, or user. 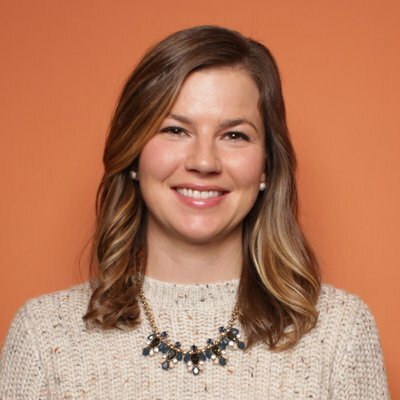 In addition, you can use the Zapier connection to streamline your workflows with project management tools, invoicing software, calendars, and email. Harvest boasts a robust, yet easy-to-use, time tracking app that integrates with iOS, Android, and even Apple Watch. Managers can send reminders to team members to submit their timesheets, track billable and non-billable hours across the company, analyze data, and send invoices from the app. 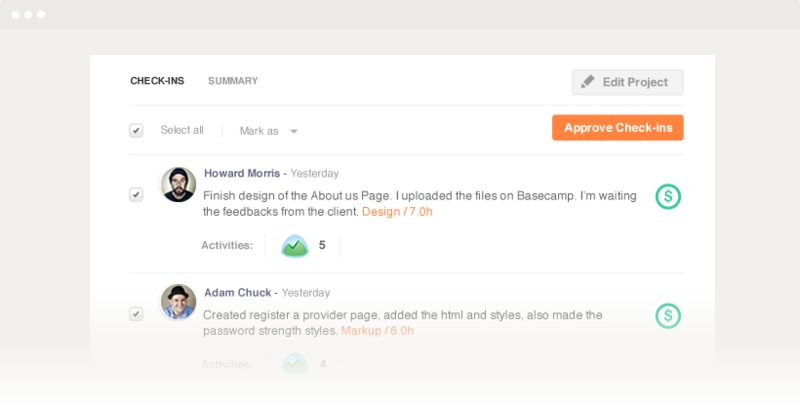 There's a desktop application, and Harvest integrates with tools such as Basecamp, Trello, and Zendesk. You can also use Harvest's resource planning tool Forecast to schedule future projects and assign team members based on capacity. Tick is a simple time tracking app that lets people choose the project, enter a task, and record their time. One interesting feature is the ability see instantly how much of a project is complete and if it is under or over budget. 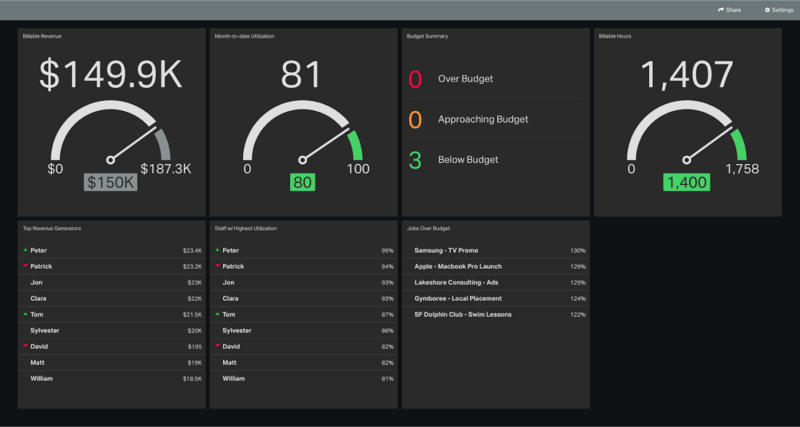 You can track projects on overall budget and task-specific budgets. Reporting features include the ability to see profitability and time spent by employee or client. 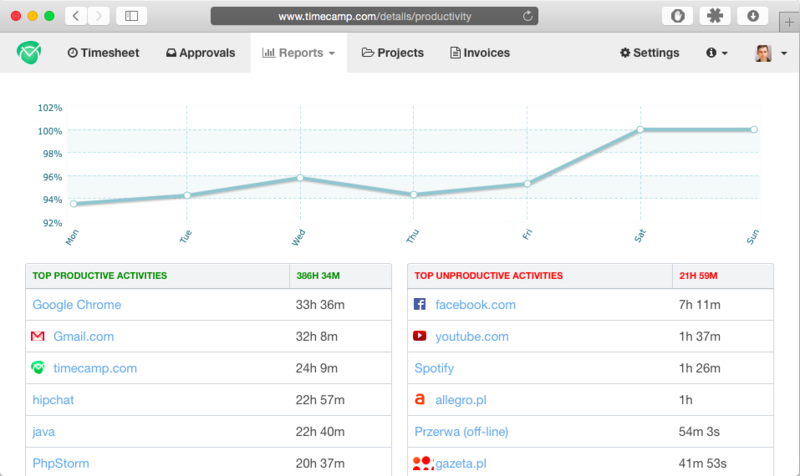 TimeCamp is another good team tracking software. It integrates with your calendar and tracks billable and non-billable hours as well as allowing you to add notes to time entries and showcasing how your estimated working hours compare to actual working hours. The tool provides invoicing capabilities, so you can easily bill clients at the end of the month or project. It also gives visibility into what people on your team are spending their time working on, promoting transparency and trust between colleagues.